The popularity of yoga is increasing day by day and is one of the fastest growing health sectors. Yoga is a preferred fitness and health activity for many people. It is very beneficial for so many health related problems and it can keep you healthy and happy. With regular yoga practice, it helps to control your mental stress. There are so many peoples who turn their passion for yoga into profession. If you are a yoga instructor and want to open your own yoga studio, you need your own website for yoga class. Yoga Club is a creative, powerful, elegant, responsive and clean yoga WordPress theme dedicated to fitness, health and predominantly yoga. You can also use this for your sports club, gym, dance studio, massage spa, wellness centers, beauty salon, and any fitness agency. This theme is specially developed to provide an integrated solution for the yoga and fitness business. It’s a best framework for developing modern websites for yoga studios and meditation center. It comes with robust set of features and tools you need to create an online presence for your website. 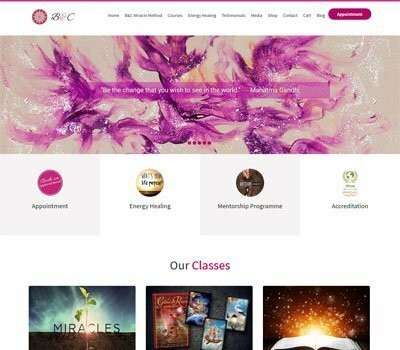 The Yoga Club theme has an attractive design that works towards grabbing attention and is a great place to build a successful website for your yoga studio. This yoga WordPress theme offers a great platform for users with or without professional development knowledge to quickly and effectively create modern websites with professional quality. This theme helps to attract your customers, increase traffic and maximize your business revenue. 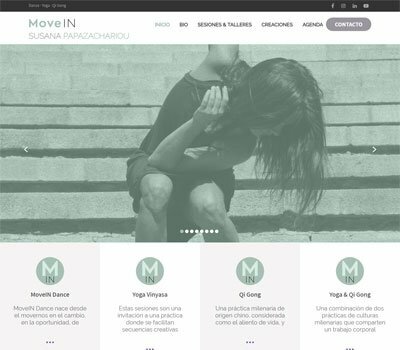 This theme has been developed with powerful functions and unique features to let you create your yoga website within minutes and in a few clicks. This theme is very easy to customize using its powerful admin panel to suit your business needs. It has a beautiful crafted homepage with convenient features such as yoga services, classes details, pricing table, events, schedules, coach overview, products shop and customers feedback. Additionally, it includes custom post types for classes, events, testimonial, trainers and photo gallery. These post types helps to create pages for your yoga studio and make your website elegant and professional. The ‘Make an Appointment’ button in main menu is really effective in scheduling an appointment with clients. It has pricing plan options so you can implement colorful pricing tables to set budgets for potential customers and highlight your membership plans. This clean theme is well written and coded as per the standards of WordPress Codex. This yoga WordPress theme is optimizing for SEO and your website will gain high rank in search engines. It also supports multiple languages, so your website will gain more popularity and helps to reach your website to your global clients. The layout of the theme is completely responsive, mobile friendly and versatile. You can easily personalize your website fit in any devices. Moreover, the theme layout is Retina ready and is compatible with all popular web browsers such as Mozilla Firefox, Google Chrome, Safari and IE. I’ve used quite a number of wordpress themes over the years and this is by far the best! It looks fantastic, it’s very easy to amend to suit your own requirements and the level of support provided by the Developers, is outstanding. I’d highly recommend this theme but secretly, we want to keep it to ourselves!! Hehe! Seriously though, thank you Grace Themes for developing this theme. Our website can now be the integral platform for our start up business, that we wanted it to be. A good theme with great options specialized in Yoga & Fitness. It is not 100% customizable as is, but there´s great support to help you with changing some of the code. I am very happy that i choose this theme. Its precise, concise and incorporates everything i need. And most of all the support service is prompt, helpful. I highly recommend this theme especially if you are new to website development. Grace Themes has beautiful functioning themes and easy to edit! I love the Yoga Club theme, it is great for subscription-based businesses. Grace Themes is also more than the name, they showed me grace by helping me get the correct theme after I ended up purchasing the wrong one. They are quick to respond should you have any issues and very helpful! This Theme is just perfect. It is easy to configurate and if you have any question the Grace team helps you and gives you easy advice to fix it. Thanks so much for this wonderful work. For different projects I worked with several themes so far. But this one is really great. Easy to customize – and a very, very good support! Still can’t believe this very fair price for this! Great support in helping customize via code.